What are Futures and Forwards? Future and forward contracts (more commonly referred to as futures and forwards) are contracts that are used by businesses and investors to hedgeHedge Fund StrategiesA hedge fund is an investment fund created by accredited individuals and institutional investors for the purpose of maximizing returns and reducing or eliminating risk, regardless of market climb or decline. Hedge fund strategies are employed through private investment partnerships between a fund manager and investors against risks or speculate. Futures and forwards are examples of derivative assets that derive their values from underlying assets. Both contracts rely on locking in a specific price for a certain asset, but there are differences between them. Financial assets include stocksStockWhat is a stock? An individual who owns stock in a company is called a shareholder and is eligible to claim part of the company’s residual assets and earnings (should the company ever be dissolved). The terms "stock", "shares", and "equity" are used interchangeably., bonds, market indices, interest ratesInterest RateAn interest rate refers to the amount charged by a lender to a borrower for any form of debt given, generally expressed as a percentage of the principal. The asset borrowed can be in the form of cash, large assets such as vehicle or building, or just consumer goods., currencies, etc. They are considered to be homogenous securities that are traded in well-organized, centralized markets. Examples of commodities are natural gas, gold, copper, silver, oil, electricity, coffee beans, sugar, etc. These types of assets are less homogenous than financial assets and are traded in less centralized markets around the world. Some derivatives exist as hedges against events such as natural catastrophes, rainfall, temperature, snow, etc. This category of derivatives may not be traded at all on exchangesTypes of Markets - Dealers, Brokers, ExchangesMarkets include brokers, dealers, and exchange markets. Each market operates under different trading mechanisms, which affect liquidity and control. The different types of markets allow for different trading characteristics, outlined in this guide, but rather as contracts between private parties. Sellers and buyers of forward contracts are involved in a forward transaction – and are both obligated to fulfill their end of the contract at maturity. 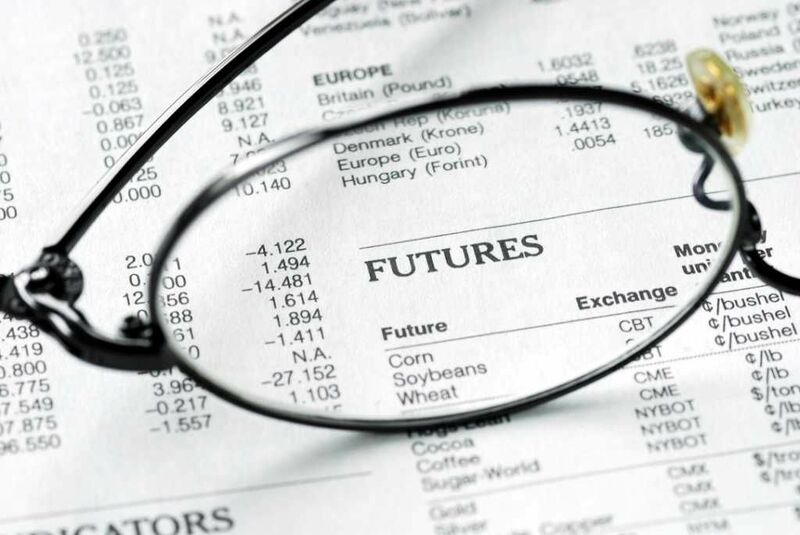 Futures are settled daily (not just at maturity), meaning that futures can be bought or sold at any time. Futures are typically traded on a standardized exchange. Suppose that Ben’s coffee shop currently purchases coffee beans at a price of $4/lb. from his supplier, CoffeeCo. At this price, Ben’s is able to maintain healthy margins on the sale of coffee beverages. However, Ben reads in the newspaper that cyclone season is coming up and this may threaten to destroy CoffeCo’s plantations. He is worried that this will lead to an increase in the priceSupply and DemandThe laws of supply and demand are microeconomic concepts that state that in efficient markets, the quantity supplied of a good and quantity demanded of that of coffee beans, and thus compress his margins. CoffeeCo does not believe that the cyclone season will destroy its operations. Due to planned investments in farming equipment, CoffeeCo actually expects to produce more coffee than it has in previous years. In this scenario, the price of coffee jumps to $6/lb due to a reduction in supply, making the transaction worth $60,000. Ben benefits by only paying $4/lb and realizing $20,000 in cost savings. CoffeeCo loses out as they are forced to sell the coffee for $2 under the current market price, thus incurring a $20,000 loss. In this scenario, CoffeeCo’s new farm equipment enables them to flood the market with coffee beans. The increase in the supply of coffee reduces the price to $2/lb. Ben loses out by paying $4/lb and pays $20,000 over the market price. CoffeeCo benefits as they sell the coffee for $2 over the market value, thus realizing an additional $20,000 profit. Suppose that Ben’s coffee shop currently purchases coffee beans at a price of $4/lb. At this price, Ben’s is able to maintain healthy margins on the sale of coffee beverages. However, Ben reads in the newspaper that cyclone season is coming up and this may threaten to destroy coffee plantations. He is worried that this will lead to an increase in the price of coffee beans, and thus compress his margins. Coffee futures that expire in 6 months from now (in December 2018) can be bought for $40 per contract. Ben buys 1000 of these coffee bean futures contracts (where one contract = 10 lbs of coffee), for a total cost of $40,000 for 10,000 lbs ($4/lb). Coffee industry analysts predict that if there are no cyclones, advancements in technology will enable coffee producers to supply the industry with more coffee. The following week, a massive cyclone devastates plantations and causes the price of December 2018 coffee futures to spike to $60 per contract. Since coffee futures are derivatives that derive their values from the values of coffee, we can infer that the price of coffee has also gone up. In this scenario, Ben has made a $20,000 capital gain since his futures contracts are now worth $60,000. Ben decides to sell his futures and invest the proceeds in coffee beans (which now cost $6/lb from his local supplier), and purchases 10,000 lbs of coffee. Coffee industry analyst predictions were correct, and the coffee industry is flooded with more beans than usual. Thus, the price of coffee futures drops to $20 per contract. In this scenario, Ben has incurred a $20,000 capital loss since his futures contracts are now worth only $20,000 (down from $40,000). Ben decides to sell his futures and invest the proceeds in coffee beans (which now cost $2/lb from his local supplier), and purchases 10,000 lbs of coffee. Learn more about trading futures at CME Group.